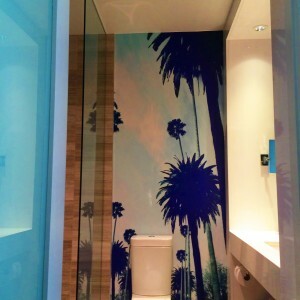 The Beverly Hills Mom » Use of the palm tree wall paper in the baths of the Mosaic Hotel add so much fun to the nice ergonomic design of the space – great light, plenty of surfaces to put my stuff on! This entry was posted on Sunday, September 6th, 2015 at 2:50 pm and is filed under . You can follow any responses to this entry through the RSS 2.0 feed. You can leave a response, or trackback from your own site. 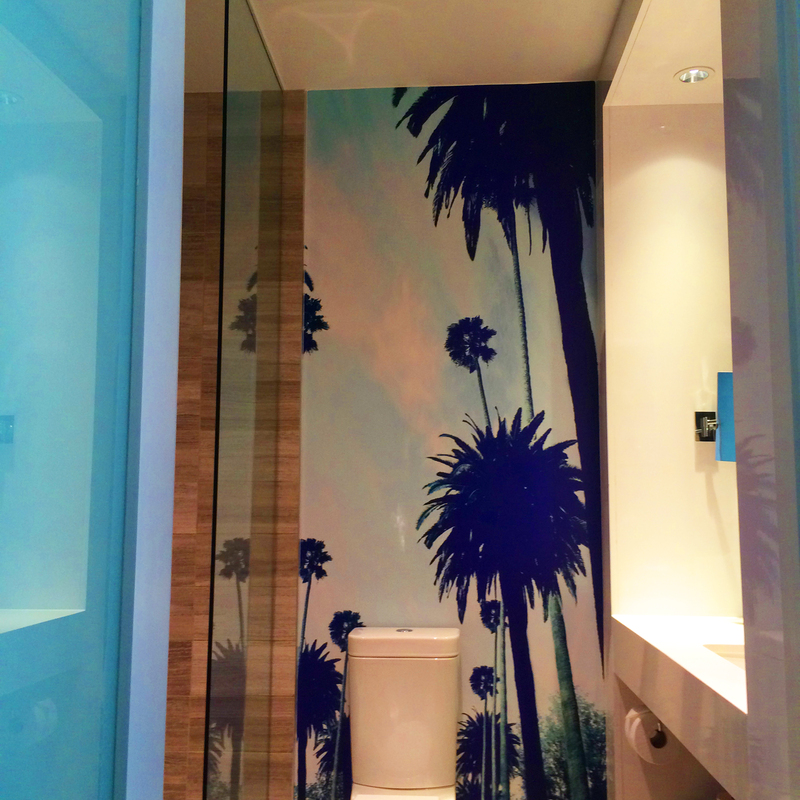 Use of the palm tree wall paper in the baths of the Mosaic Hotel add so much fun to the nice ergonomic design of the space – great light, plenty of surfaces to put my stuff on!